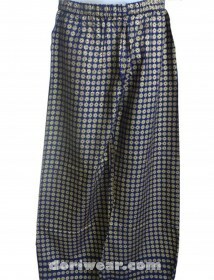 Blue Jaipuri Long Kurta Palazzo Set is a Jaipuri kurti crafted from a high quality soft cotton material.This Jaipur Kurti as Women Blue Ethnic Motifs A-Line Cotton Kurta. 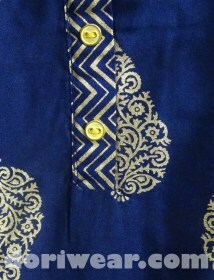 This A-Line Long Gathered Cotton Kurta has buttoned Yoke design,button of the yoke blends with the jaipuri kurti design pattern as button Detail With Loop, 3/4th Sleeves and Oval-Neck. Fabric Care-Hand Wash and Machine Wash. 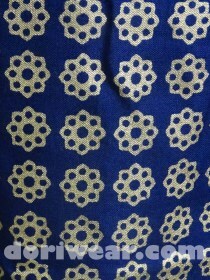 The palazzo that comes as a Jaipuri Kurti set is in perfect contrast to design and patters that blends with the Jaipuri Kurta. 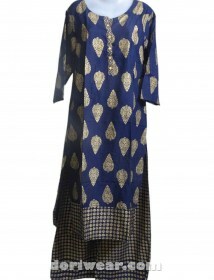 The matching color and designs of Jaipuri Kurta and Palazzo marks a complete attire for women clothing for all occasions.